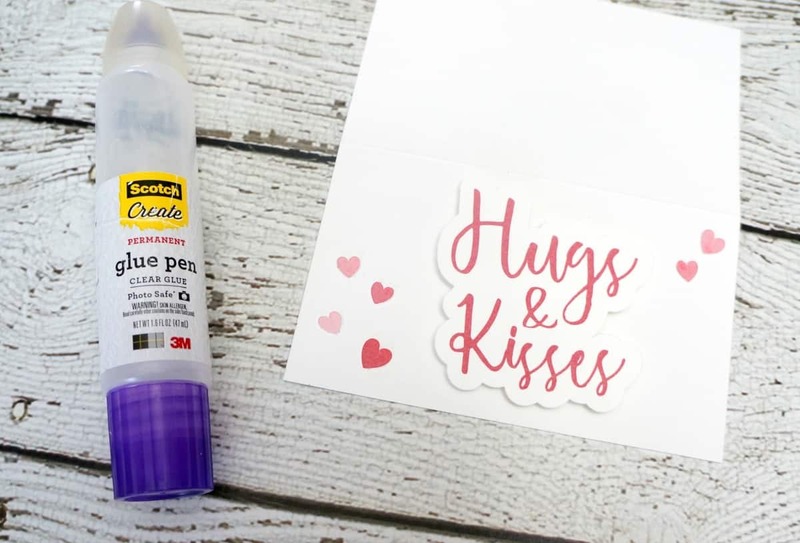 Valentine’s Day is around the corner and it’s time to start thinking about how you can show the special people in your life just how much you love them. 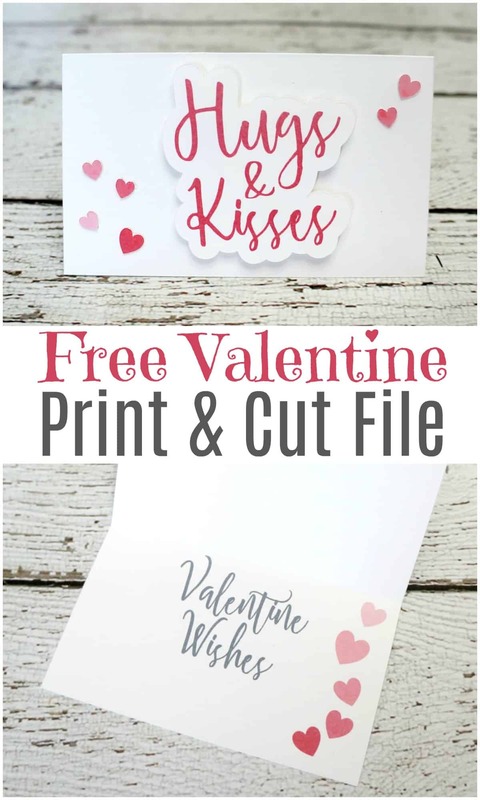 I’m sharing an easy paper Valentine today with a free print and cut file you can download. Just print, cut and assemble this cute little card and give it to someone you love. I use my Silhouette at least once a week, if not more. I can design and cut paper, vinyl, fabric and more. It’s my absolute favorite crafting tool. You can check out my list of craft favorites in my Amazon Shop which includes the newest Silhouette and all kinds of accessories. 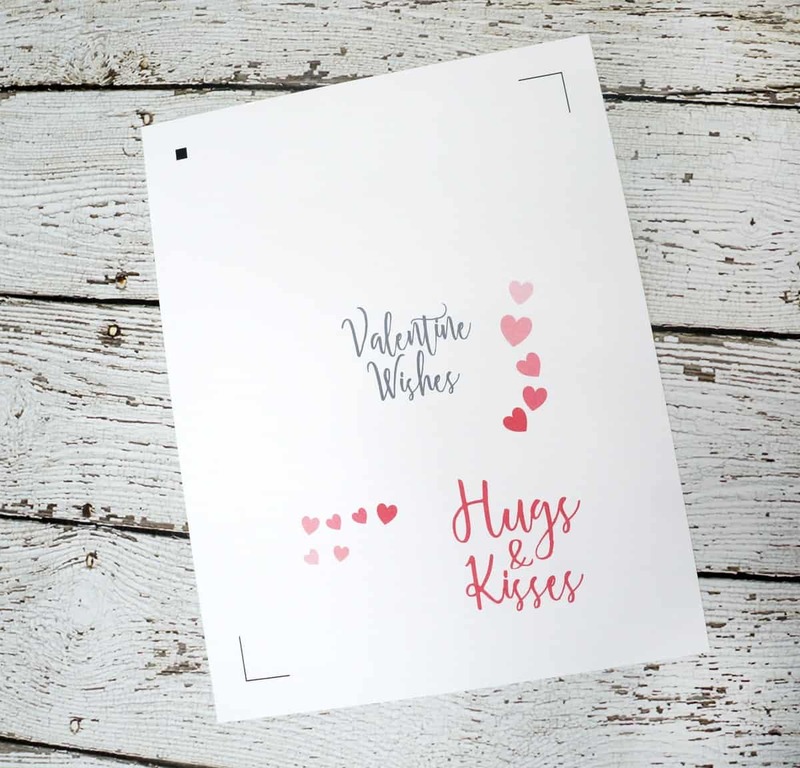 I designed this simple paper Valentine using Silhouette’s print and cut function. This allows me to print graphics using my regular printer, then cut around them with my Silhouette. You can skip the designing part by downloading this Valentine below and using it with your Silhouette software. Open this in your Silhouette, be sure the registration marks are turned on and print this on an 8.5 x 11 piece of white card stock. Then put the card stock on your cutting mat and cut it out. A little pro tip here. I have been using a Cricut mat with my Silhouette for about a year. I find it’s a bit more sturdy and holds it’s stick longer. A bonus, it’s less expensive than the Silhouette mat. 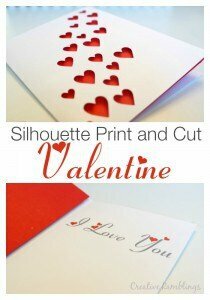 Once all the pieces are cut out, fold the card in half so the Valentine Wishes is on the inside. 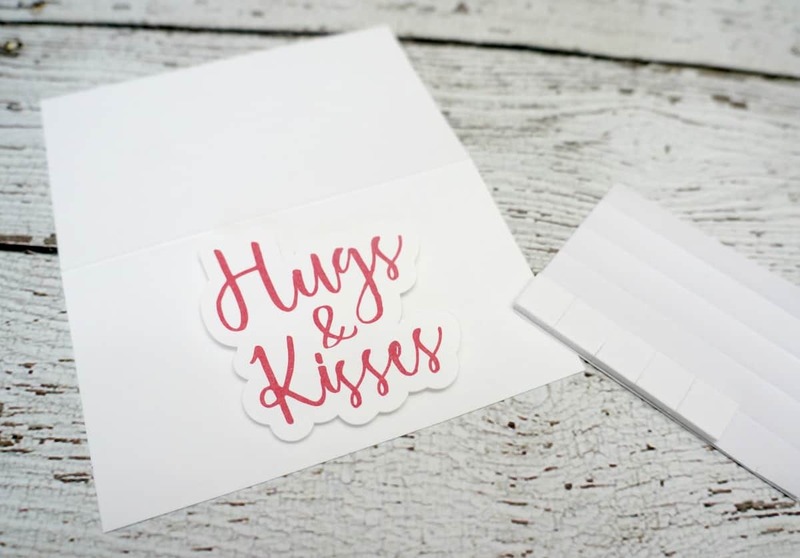 On the front of the card, use mounting squares to add the Hugs & Kisses, and craft glue to attached the little hearts. 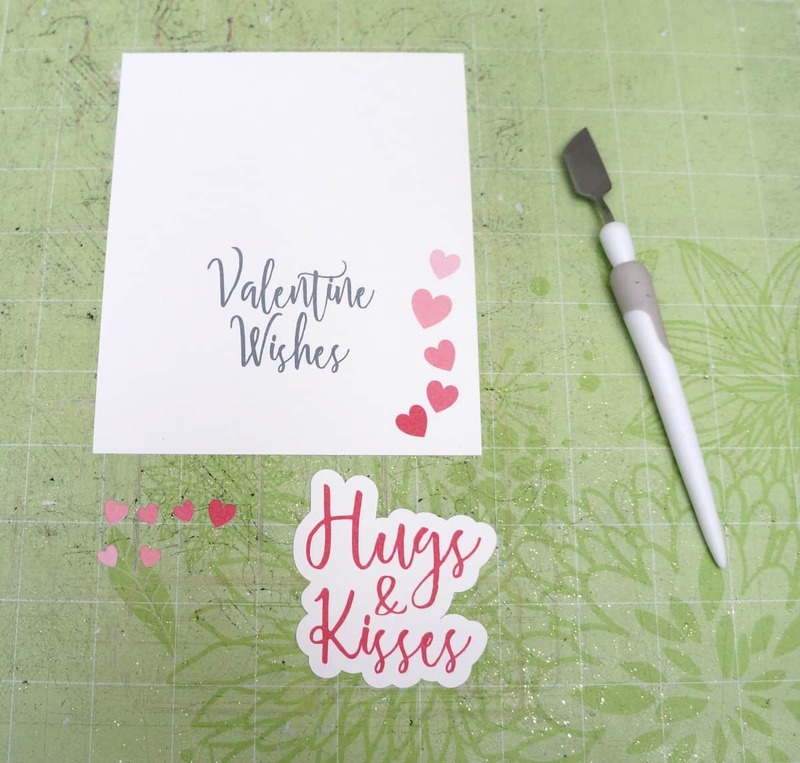 This paper Valentine is easy to make. Print out a bunch, cut and assemble them in no time. Pair them with a treat and get ready to pass them out to the special people in your life. Check out more Valentine’s Day inspiration below. Gosh, I just love this. 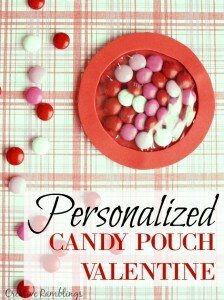 It’s super sweet and perfect for Valentine’s Day!